Open: All year long. Summer season is from April 15 – October 15. 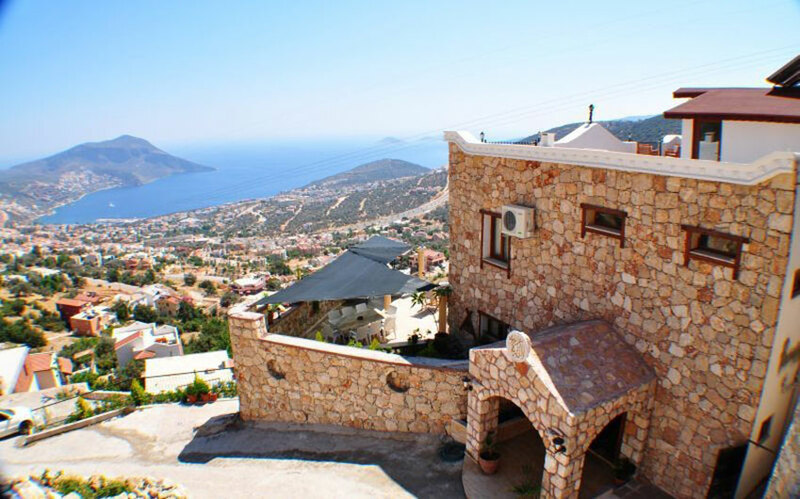 Villa Sultanah is situated at a higher spot to give aerial view of Kalkan and appreciates incredible panoramic sights of turquoise waters, which entirely recompenses for the walk into the town center through the steep path. 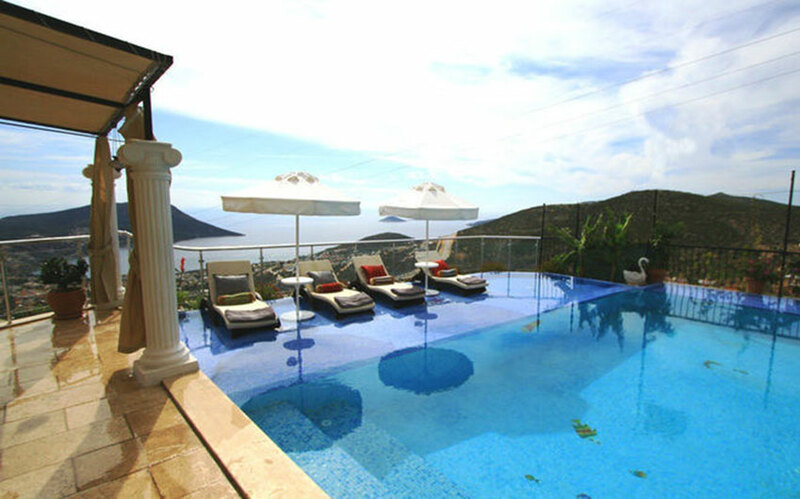 In Turkey, this affluent villa is a blissful place located above Kalkan and is perfect for big families who are looking for an idyllic space in complete privacy. 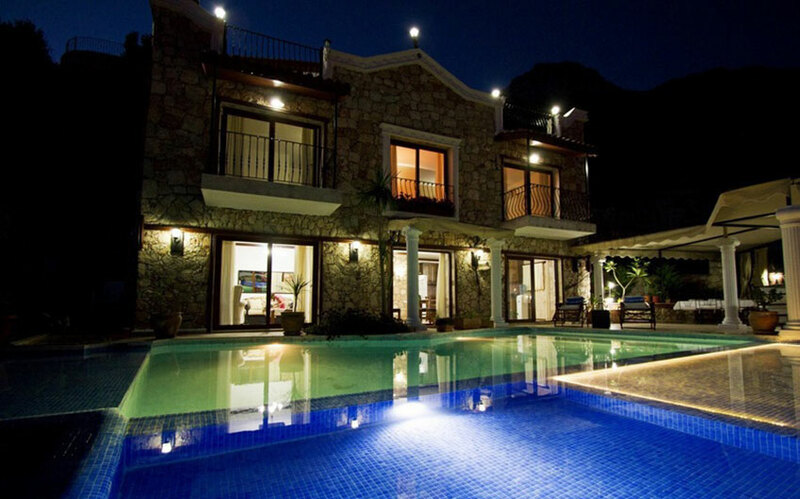 The beach, markets, restaurants and Kalkan city center are at a comfortable distance form the villa. 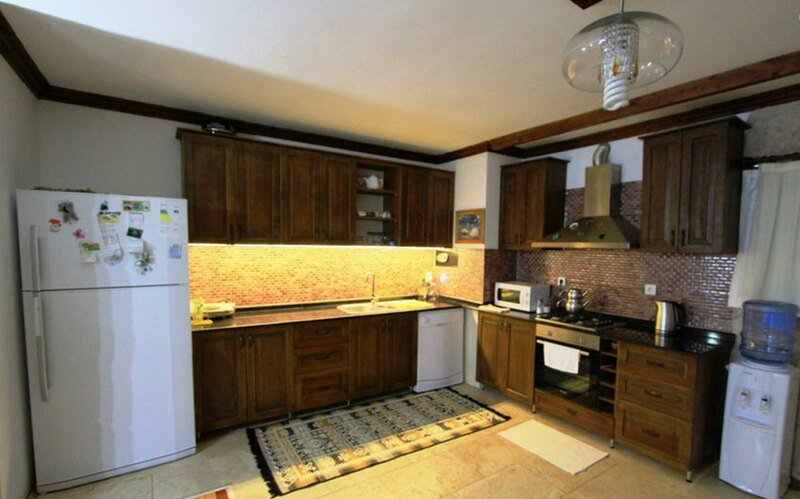 Villa Sultanah, featuring 5 bedrooms, is modishly adorned with all rooms having en-suite bathrooms. The ground floor includes a very spacious area that has a composite of lounge, dining and kitchen, which makes way to the terrace where you may cool down in the swimming pool or just relax with your family on the sitting area overlooking stunning views through the bay. There is also a double bedroom on the ground level. A stairway leads to the first floor that has a large double bedroom that comprises of a spacious double bedroom through which you can access a seating area on the roof terrace. 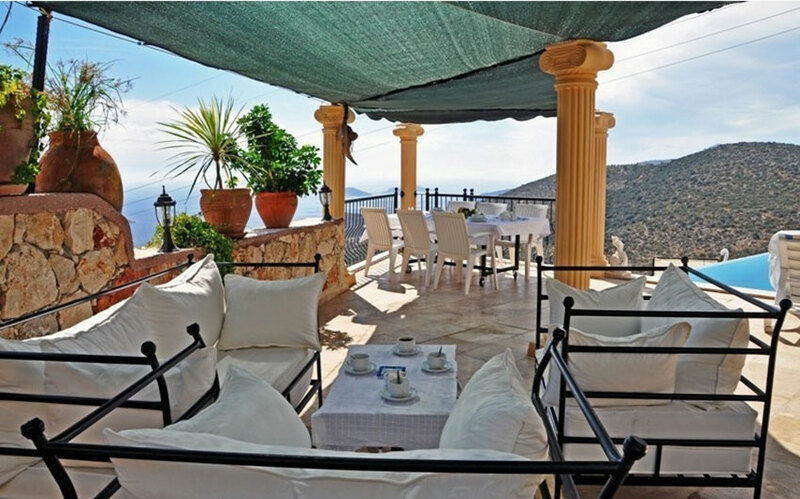 The roof terrace and pool terrace areas assure 100% seclusion from an outside eye for sunbathing. 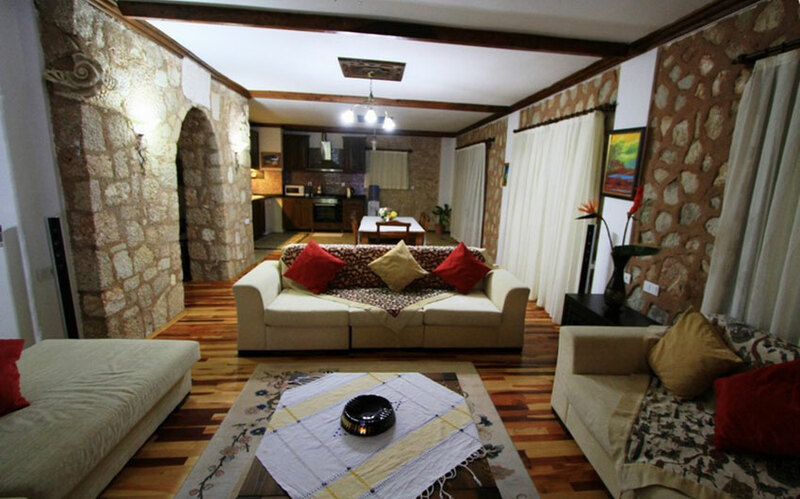 Two twin bedrooms with opening to the balconies can also be found on the first floor. Delve in the luxury of massage in a massage cabin or just rejuvenate in the Jacuzzi that is right within the master bedroom. There is a wild bird garden neighboring the villa where lodgers love to feed and watch the birds. If cancelled or modified up to 60 days before check-in date and within 72 hours from your booking time (both conditions must apply), no fee will be charged. If cancelled or modified up to 60 days before check-in date, 15% of price will be charged. If cancelled or modified up to 30 days before check-in date, 25% of price will be charged. If cancelled or modified up to 11 days before check-in date, 50% of price will be charged.